First of all, I never thought that I’d put a reality TV related blog post into my page. But for this time, I think I have to. I have been watching The Amazing Race since I was only 10 years old. Yes, I am The Amazing Race aficionado. I grew up watching the show. And in short, I think I kinda understand the race elements. The idea of this blog post comes from the infamous Leg 9 episode of The Amazing Race Asia taken at Banyuwangi, Indonesia. And yes, an episode where they kick out people’s favourite team to be, best friends Treasuri & Louisa from Indonesia. It was such an intense episode, and there are lots of reactions coming on the social media; as I’ve seen (and involved) pretty much on the Facebook fan page, and also in each racers’ personal social media account. It’s all started when the episode featured both Yield and U-Turn in one leg, which means for me personally, it feels pretty peculiar to watch if there’s a team who got both Yielded & U-Turned, it’s an obvious statement that they’ll leave. But there are lots of things are missing. 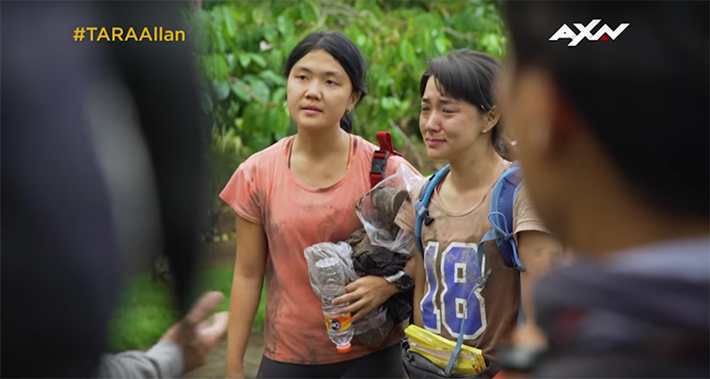 It’s like this episode is designed to kick both Treasuri & Louisa out from the competition (quoting season 4 3rd placer Hussein Sutadisastra on Facebook), as we already know that they are the front runner by winning 4 legs and being consistent in Top 5 placement since the first leg in Bogor. Now how I, and numbers of fans out there are questioning the episode is, how the earth they featured a U-Turn before they even done any detour? It’s not like that. From The Amazing Race Wikia, it’s clearly written that “The U-Turn is located immediately AFTER a detour”. Now take a look on the episode, the U-Turn comes even before the team open their clue. Somebody please explain us, ah? Treasuri & Louisa did the Kebo Keboan Detour first, head to head with Malaysian beauty queen Yvonne & Chloe and they finished before the beauty queens. But another thing happened as Treasuri & Louisa had to wait around 30 minutes until the Philippines team did their Detour (quoting Louisa’s statement on her Instagram page). System error, man. In early seasons of The Amazing Race US, teams are free to choose which detour they wish to perform. And yes, there’s a possibility of an unperformed Detour option, like that one episode of classic The Amazing Race US season 2 in Thailand, if I’m not mistaken. All teams are doing the exact same detour back at the time. And yes, shouldn’t the team has the RIGHTS to choose the detour they want, eh? Nowadays, they put the first come first serve mode in Detour. So basically, if there’s a team who wants to perform Detour A, and there’s no place left, that team HAS to perform Detour B even if they don’t wish to perform that. Which again, numerous fans are disagree about the modified system. Why don’t you just put at least 4 stand by horses as there are 4 teams left there? It’s a clear disadvantage if Treasuri & Louisa had to wait for 30 minutes waiting for the Philippines team. And if there are more horses, I’m beyond sure they can catch up. But here’s the thing. I am not promoting hate to the fellow Philippines teams, Eric & Rona and Parul & Maggie, because at the end yes it’s a game. And as a fan, I do appreciate Eric & Rona’s behaviour because they apologized in what they did towards Treasuri & Louisa; both at the telé and at the social media. Yes, I personally want Indonesia to win The Amazing Race Asia. But frankly speaking, what we-- fans saw is that; this Banyuwangi leg seems designed to kick the strongest team out. I really wanted to know what is the reason behind those multiple Yield and U-Turn back to back in one single freakin' leg, and how the earth there’s a U-Turn before they done any Detour? How is it even possible? Once again, I am not spreading hate about the Philippines team. But I really do wish the Production Team would speak up about how awful the race design is. Indonesia kalah terhormat, everybody. It took both Yield & U-Turn to really stop them.